Marginalized communities in Kenya face challenges in accessing basic resources and infrastructure. Even where government systems are in place, there are problems with the quality of services and enforcement of laws, especially in rural and impoverished areas. Hakijamii is an organization dedicated to securing economic and social rights for marginalized communities in 15 counties around Kenya. 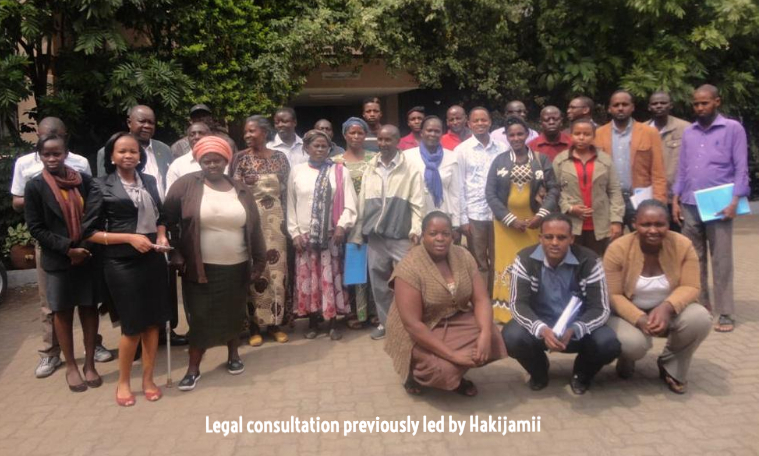 Hakijamii recently partnered with ICAAD to launch a Kenya-wide data collection, legal rights training, and advocacy initiative to close gaps in: health, water, sanitation, education, land rights, and governance. The first phase of the initiative requires setting up a technology platform, determining the scope of legal trainings for community members, and ensuring that the team is collecting verifiable information to assist with future advocacy efforts. Some of the data collected will include reports on dry water taps, poor quality medical care, untrained teachers/staff, damaged sewer lines, and forced evictions. The program is replicating a model similar to ICAAD’s successful data collection for human rights initiatives with India partner Nazdeek, both in Assam (endmmnow.org) and New Delhi (smsforjustice.org).